That hat the IRGC goon is wearing looks ridiculous. Extended bill on the military hats speaks volumes. Why not wear a codpiece, too? the bigger the hat the least capable the military. Basically their hats are as big as their mouths. Iran should never ever 'turning back'. Go Iran go! Iran will never ever reveal all its military cards to the world. No one knows what Iran does really have in its possessions. Ask the U.S. Pentagon. A few fire crackers and rusty old SU25s plus a few toy planes don't amount to jack sh*t.
Specially when you have a fat man trying to win the silly hat competition. Yeah sure mat,Iran can build nuclear powered submarines when in reality they just about built a 1940s style mini sub.They haven't managed to even build a 1000 ton conventional sub. Yet they are bragging about building nuclear ones! The U.S. is too strong to those weak, hapless and defenceless nations and countries. But instead, when it comes to Iran's military power and might, it will definitely pause. It is because next year will ultimately be 34 of course. poor mat never seems to get to take off his cheerleading dress and put down his pom-poms. sure mat, the Iranian government has not only been refining uranium, but it's also produced masses of kryptonite. get real, there are no occluded super weapons, just mouths full of hollow boasts. Iran already overhauled complete alone without help of Russia, the large Kilo Submarine. If they can overhaul the submarine, you can replicate it. Jealous loser exil iranian comments. Iran already overhauled complete alone without help of Russia, the large Kilo Submarine. If they can overhaul the submarine, you can replicate it." Now don't tell me that the uneven metal will become smooth under pressure, the outer hull of a Russian sub is not under pressure since its built over a free flooding space. Don't tell me the tiles will be added later; we have seen Yunis go on patrol without them. Don't tell me the new paint is on the way because real sailors would not let their boat be photographed in such a shape. A US Navy Submariner would be ashamed to sail in a boat such as this. Overhauling an old conventional soviet submarine doesn't mean Iran can build a nuclear powered submarine. No,losers are the ones that claim they can build nuclear subs or the repainted F5 fighters which were bought before the revolution are as advanced as the F18 Hornet.Losers are the ones that also claim that a scud missile derivative is so accurate it can hit a US aircraft carrier whilst on the move. And real losers are the mullah lovers that back losers namely the Islamic regime. Gentlemen, youre being extremely unfair and biased. According to (Janes Defence weekly) The Iranian Navy has an Impressive Rapid response Blue Water Navy. 26 Submarines, 16 Active, and 10 in reserve. a total of 10 Midsize diesiel Subs. The Yunis Tariq and other russian Submarine Have been Fully Restored. The photos and images that youre refering to are from 1988, Mr. You are such a fraud. The Iranians posses the fastest f-5 class fighters of the F-5 series. which is used by Brazil, Spain, Italy and others, and according to Janes Defense Weekly, The F-5e Does compete with the F16 fighter. When it's fully loaded. (Janes Defense Weekly) List the Iranian Airforce as a Capable Airforce. That has progressed quite impressively from 1999 to 2012, despite International sanctions. Ofcourse it does not compete with the U.S. Airforce. Simply because of size. But the Iranian Airforce is comparable to the Israeli Airforce, and is equivalent to the Israelis in skill. And they train with Russian and Pakistani Pilots. Hence the diversity in Aerial tactics. you need to do your research next time Sir. it reflects your lack of education. "The Iranian Military is the 11th largest Military in the World". JANE DEFENSE WEEKLY. At the beginning of February, Jane's Defense Weekly reported that "Iranian pilots are stepping up training and exercises for long-range missions." Quoting "Western defense sources," the report said "Iran is pursuing a longer-range strike capability for its air assets to support the delivery of more powerful strategic weapon systems," adding that Tehran was "investing considerable resources" in aerial refueling capabilities. 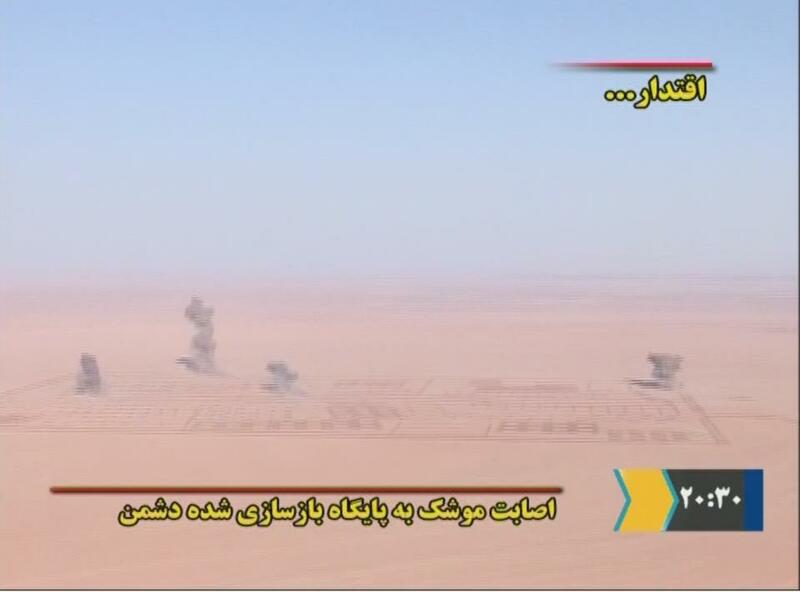 The training involved Iran Air Force's (IRIAF's) Sukhoi Su-24MK strike aircraft, Jane's Weekly said. The aerial refueling exercises, originating out of the Tactical Air Base 7 in Shiraz, southwest Iran, take place at night and involve planes flying at very low altitudes, the report continued. The exercises were aimed at simulating "operational scenarios that would entail night-time refueling of an Iranian attack aircraft, at low altitude over the Mediterranean, outward bound en route to the target," Jane's Weekly added. Those pilots can do all the training they want.The fact remains that the airplanes they are flying in dates back to 50 years after the Wrights brothers. F4s,F5s a few F14s and Russian junk are nothing but targets for the US to practice on. Before the US attacked Saddam a lot of media used to say how strong the republican guard were.That is a trick in the West to fool the enemy. Don't believe what they write in Jane's Defense when it comes to intelligence. "Before the US attacked Saddam a lot of media used to say how strong the republican guard were.That is a trick in the West to fool the enemy". The Iraqi Republican Guard was indeed a powerfully Armed Mechanized force. But they were weakened by the Iranian Military. And that should tell you something? Furthermore Iraq was easily defeated in Gulf war-1 1991. Due to Military sanctions and a previous regional War. Be advised that had the U.S. Attacked Iraq in 1980, when Iraq was a strong nation. It would have been a different story. Furthermore, 34 years later the Iraqi Resistance caused the United States Military and Nato a miserable Defeat, along with all their Aerial and sea power. They still fled, from Iraq, showing the backs of their heads. With the Iraqi resistance behind them in hot persuit! The U.S./Nato alliance couldn't handle and hold their own against a few thousand, rag tag rebels. With rifles,RPG's and cheap crude inexpensive IED's rigged with remote control cellphone parts. And you say that their going to Conquer Iran? Anon 7:41 PM.....If you had read what I had written more carefully you would've noticed I said the US could destroy Iran's bases and infrastructure if they so wish. Where did I say that the US will invade Iran? Facts are the US can easily flatten Iran's infrastructure if the go ahead is given by any President that comes into office. And another thing you convince yourself that the Iraqi republican Guard or armed forces could have stood up to the US no matter when they faced the US. The US and NATO were equipped and trained to face Soviet and Eastern Block countries so Iraq is no match no matter what condition they are in. So any country that occupies a foreign country is going to come up against resistance. But when you have a country like the US with a powerful navy and air force and their only intention is flattening the country then I'm afraid Iran won't stand a chance. Sorry but you should take it on the chin and face reality because as hard as it is the truth hurts. US Ambassador to Switzerland Donald Beyer has ruled out the likelihood of Washington’s military option against Tehran, given the exacerbating economic woes in the United States. "But when you have a country like the US with a powerful navy and air force and their only intention is flattening the country then I'm afraid Iran won't stand a chance. Youre not a very bright person are you? The U.S. is Bankrupt and totally inept, it simply doesn't have the stomach to fight a powerful military like the Iranian Republic. Theirs simply no way that the US can fight and win. No,you must be the bright person to think that a third world mullah ridden country can defeat a world superpower. I almost feel sorry for you.Now go and waste someone else time you poor loser. "Gentlemen, youre being extremely unfair and biased. According to (Janes Defence weekly) The Iranian Navy has an Impressive Rapid response Blue Water Navy. 26 Submarines, 16 Active, and 10 in reserve. a total of 10 Midsize diesiel Subs. The Yunis Tariq and other russian Submarine Have been Fully Restored. The photos and images that youre refering to are from 1988, Mr. You are such a fraud." What... what? Those photos are from this year. There was a photo published by the same photographer showing Admiral Sayyari (assumed his post in 2007) at the re-launching of the Tareq along with a banner showing Ali Khamenei (who assumed office in 1989). it shows it stripped in the same way as the Tareq has been. Also Iran did not have Kilo class submarines in 1988 anyways. Jane's is wrong or you are not quoting it accurately since Iran only has three midsized submarines (the three kilos with perhaps a 4th bought as a parts hulk). The Ghadir and Nahang are midget submarines, they are not capable of prolonged blue water operations. I confirm you are correct.Iran has only three Kilo class Russian made submarines and the rest are midget subs for shallow coastal waters. There is no 4th Kilo class sub in the Iranian navy and they only have about 12 to 16 midgets and a prototype 1000 ton conventional submarine for testing.